Discussion in 'classic' started by bhassan, Nov 22, 2010. Would like to get myself one of the finest tuner's ever made. What do you suggest, price is not an issue. 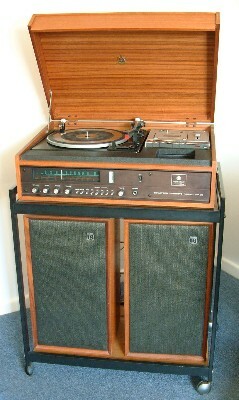 You can have my Linn Kremlin for £500 ! Certainly the absolute best that I have ever tried (and I have tried a lot!) I just don't get enough use out of it these days. Check out the reviews. A Leak Troughline with a decent aerial and an aftermarket FM stereo decoder is up there with the best. Maybe THE best. You do have to restore a number of them though, they are 40 years old after all. See fmtunerinfo for a wide range of reviews. One of their contributors came up with the following ranking, but read http://www.fmtunerinfo.com/shootouts.html for caveats about the process. 1 (TIE): -C- Kenwood L-02T - Most natural sound, good bass. Pinpoint imaging. Lifelike, three-dimensional sound. 1 (TIE): -C- Burmester 978 - Natural, open and airy sound, good bass. Pinpoint imaging. Lifelike, three-dimensional sound with nice extended highs. 4: -C- Sansui TU-919 - The prince who could be king. 5: -C- Sansui TU-X1 - Very good sound top to bottom. Big soundstage, three-dimensional. Very slight diffuse sound. 6: -C- Audiolab 8000T - Good bass, natural but diffuse sound, sweet extended highs. 7: -C- Philips AH6731 - A very natural, neutral sound. Stereo separation best with a good signal. 8: -C- Revox B760 - Great bass, lifelike midrange and extended highs. 9: -M- Mitsubishi DA-F20 - Quick, punchy bass, open, lively midrange and extended highs. 10: -M- Kenwood KT-5020 - Great bass and midrange and extended, sweet treble. Again, why pay more? 11: -M- Kenwood KT-990D - Smooth, clean sound that always pleased. Why pay more? 12: -M- Meridian Model 104 - Excellent, natural sound, good bass, no to DX games. 13: -M- Meridian Model 504 - Good bass, excellent midrange with smooth, just-right highs. 14: -M- Kenwood L-1000T - Good bass, punchy midrange, sweet extended highs. 15: -M- Sansui TU-X701 - Great-sounding midrange, bass OK, softer highs next to the L-02T. 16: -M- Luxman T-117 - Very good-sounding tuner. No real faults, top to bottom. Not as three-dimensional as the L-02T and gives up some bass richness. 17: -M- Sansui TU-717 - Good bass and midrange with nice "depth" to the soundstage. More forward than the L-02T. 18: -M- B&K TS-108 - Very nice midrange, good bass and nice, extended highs. 19: -M- Technics ST-9038 - Very good bass, nice midrange, smooth treble. 20: -M- Magnum Dynalab MD-108 - Bass OK, very good imaging and realistic midrange, extended but forward highs. 21: -M- Kenwood KT-917 - Good bass, midrange and treble. A very pleasant sound but more one-dimensional when placed next to the L-02T. 22: -M- Sansui TU-S9 - Smooth, natural sound. A budget bargain. 23: -M- Kenwood KT-1100 - Quite tuneful, but flatter soundstage than the L-02T. 24: -M- McIntosh MR 80 - Good bass, lively midrange and pleasant highs. More one-dimensional than the L-02T. 25: -M- Sanyo Plus T35 - Good bass, laidback midrange and extended, pleasant highs. 26: -M- Technics ST-G7 - Very nice bass, articulate midrange, forward but nice upper range. 27: -M- Pioneer F-99X - Follows behind the big bass dogs but the midrange and treble are where it's at. Sweet, clean, quiet and to be copied. 28: -M- Kenwood KT-3300D - Very good bass, slightly diffuse light mids and pleasant extended highs. A laidback, nice listen. 29: -M- Pioneer F-90 - Great sonics with a slightly lighter sonic presentation than the top dogs. Upper midrange and treble are top-notch. 30: -M- Sansui TU-D99X - Good bass. Bass, midrange and treble work well together for a balanced sound. 31: -M- Hitachi FT-007 - Clean, balanced sound, but less dynamic than the L-02T. 32: -M- Sony ST-J88B - Good bass, pleasing midrange, slightly forward and sweet treble. 33: -M- Linn Kremlin - OK bass; articulate, precise sound; good high frequency. Midrange, bass loses some natural warmth. 34: -M- Restek Metric - Excellent imaging, bass and highs. Midrange gave up some to other tuners. 35: -M- Onix TU39 - Dynamic, smooth, the midrange give up some "life" to others. Some added sparkle in the highs. 36: -M- Perreaux TU-3 - Nice balanced sound. Gives up some richness and dynamics to the L-02T. 37: -M- Magnum Dynalab FT-101 - Good all-around sound, treble very slightly forward. 38: -M- Kenwood L-07TII - Good all-around sound but loses some inner detail. 39: -M- Accuphase T-109 - Great bass, dry midrange, pleasant but slightly forward treble. 40: -M- Magnum Dynalab FT-101A Etude - A good, balanced sound, but slightly dry. 41: -M- Technics ST-8077 - Good bass, midrange OK. Nice treble presentation. 42: -M- Technics ST-8080 - Good bass, good midrange, forward highs but not unpleasant. 43: -M- Nikko Gamma V - Very good bass, good imaging, treble forward but not unpleasant. 44: -M- Kenwood KT-8300 - Good bass and dynamics, with a slightly forward upper midrange and treble. 45: -M- Onkyo T-4500 - Slightly lighter but a pleasing sound. Neutral, top to bottom, with nice highs. 46: -M- Onkyo T-9090II - Pleasant sound, good bass, but not as dynamic as some tuners. Great DX machine. 47: -M- NAD 4155 - Good, punchy bass. Light, articulate mids with well-mated highs. 48: -M- Pioneer F-91 - Very good bass punch and control, articulate midrange with forward highs. May be a good tuner for a large room. 49: -M- Pioneer TX-9800 - Rich bass presentation. Good midrange with a treble slightly forward that took away from the total picture. 50: -M- Tandberg 3011A - Good bass, midrange a little light, sweet treble. Very good imaging. 51: -M- Sansui TU-417 - A most pleasant sound, bottom to top. Needs good signals. 52: -M- Carver TX-11b - Punchy bass, clean highs and treble. 53: -M- Sumo Charlie - Punchy bass, good midrange, slightly rolled-off treble. 54: -M- Revox B260 - Rich bass and lower midrange. Good imaging. Three-dimensional. The highs are a little too much for my personal taste. The high rating reflects its other positive sound qualities. 55: -M- Yamaha CT-7000 - Warm-sounding bass, pleasant midrange and highs. Highs a little rolled-off. 56: -M- Sequerra Model 1 - Harmonically rich bass and lower midrange. Very seductive, but if you want accuracy, shop elsewhere. 57: -M- Magnum Dynalab FT-11 "NEW" - Good sound, natural midrange, treble nice, loose bass. 58: -M- Kenwood KT-7300 - Punchy bass, pleasant mids and highs. Slight loss of ambience. 59: -M- Onkyo T-4310R - Pleasant, inoffensive sound, good imaging. Good digital DXing tuner. 60: -M- Magnum Dynalab FT-101A - Pleasant light, airy sound. Lacks bass dynamics. 61: -M- Realistic TM-1001 - Sweet treble, pleasant mids, but the bass is not as full and dynamic as the big dogs. 62: -M- Yamaha T-2 - Very pleasant and listenable. This may be the cutoff tuner between the keepers and the also-rans. I have actually owned 11 out of their top 20 (and the Naim too) None of them could beat the Kremlin, especially for low signal pick up sensitivity which is one of my main criteria for tuner performance. Some certainly sounded marginally better but for picking up far away stations...unbeatable. The Revox tuners were close and the TU919 was outstanding in most respects. nat 01 is great but does not compete with these two. I am most definitely not flat earth...far from it. This is the only item from a flat earth company that has stayed in my house for more than a week! Love the MD102 but haven't tried the Dynatron. The link doesn't work by the way. ... but for picking up far away stations...unbeatable.. I wouldn't be too sure about that, if I were you. I have an Emerson. I have a Troughline but would swap it for a Nat 01 in a heartbeat. If you'll provide a proper roof-mounted aerial then I'll throw an Armstrong in for the kill. Sadly, I sold the Ron Smith Galaxy to a fellow fish 2 years ago. Still got 3 Armstrongs, lovely kit! ...was actually curious about the Kremlin's SQ. Still got 3 Armstrongs, lovely kit! Splendid sounds, but they do want a decent medium/strong signal, ime. I can't really use mine for national BBC stations as they all come from Sutton Coldfield, 30-odd miles away and I don't have a big roof aerial, but the Emerson can produce them in quiet stereo from a mouldy little dipole less than 8 feet above ground level. The Armstrong does excellent local stations though, real life in them, highly involving to listen to. Best I've heard is the Sony ST-A7B. Very highly regarded. any one you like - they all sound about the same to me!